LUGOGO – National Basketball league (NBL) side Betway Power have unveiled new players and staff ahead of the 2019 season. The Betway bankrolled side who finished runners ups in the league last year have added three experienced players to a roster that already oozes with quality. The three that have been added are Shooting Guard Samuel Agutu who joins from KIU Titans, Syrus Kiviiri (Warriors) and Libe Makala from JKL Dolphins. Kiviri (left-standing) is handed a Power jersey at the unveiling. At the same event, Phillip Kyomuhendo has also been unveiled as the new General Manager, replacing Allan Musoke. Power has also added former player Boniface Okello as the assistant coach, to deputize Arnold Lando. 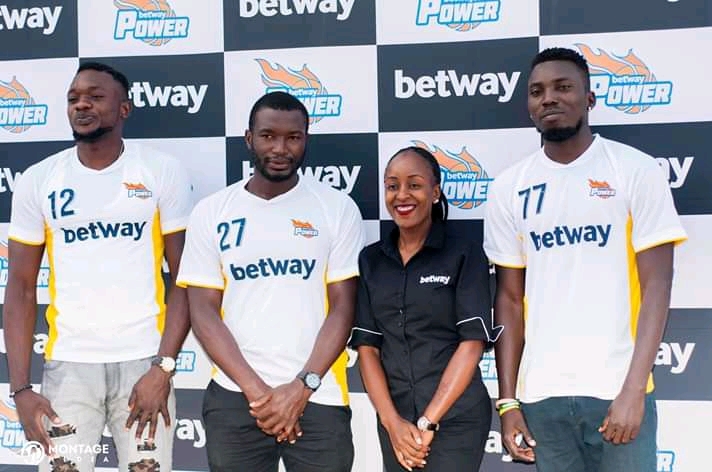 Speaking during the unveiling at Betway Uganda head offices, Country Manager (Betway) Adellah Agaba noted that she is very optimistic that Power will triumph in the upcoming season. “It was very tough last season very positive that we will take it (in the upcoming season), started Agaba. “Our team is not scared and with these new additions, I feel that we are ready to go. “Betway loves the game and we have proven that overtime. Power have in the past won five league titles, one behind joint leaders Falcons and City Oilers. However, their last League triumph dates back 7 years ago in 2011, a period that feels like ages for the Power faithful. 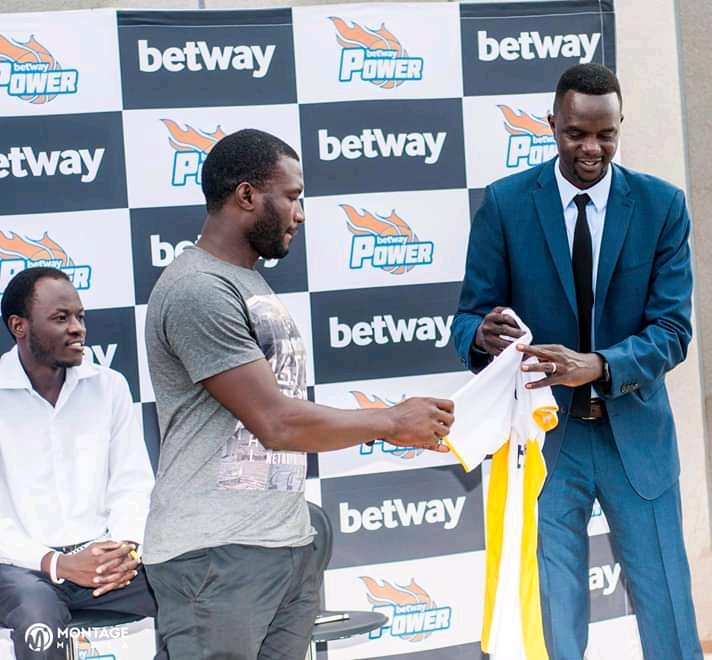 Also present at the unveiling was Betway Power president Patrick Okot who promised the fans that the club will do all in its power to try and win the 2019 championship. “Last year we were almost there, and I promise our fans that we have already put everything in order to give you the best, said Okot. Despite signing the new players, Betway Power have also lost four in the off season. Francis ‘Odom’ Kasinde, Stephen Wundi, Mathieu Madol and Michael Kojo have left the club. Power start their campaign this Friday, April 12th, against the defending champions City Oilers.